There was a time, not too long ago, that America’s nuclear industry was probably the most important, and viable, in the world. Today, it’s a dying industry, but why? In the mid 1960s, GE bet the company by making huge investments in three strategic businesses: mainframe computers, jet engines and nuclear power. GE believed, rightfully so at the time, that nuclear power would be a large growth business. By the late 1980s, GE was the second largest nuclear power company in the world. In 1979 the partial meltdown at Three Mile Island was followed, in 1986, by the Chernobyl disaster. These two accidents, though Chernobyl could hardly be called an accident because it resulted from unauthorized testing at low power levels, gave those opposed to nuclear power the upper hand in the PR war. The China Syndrome epitomized the inaccurate picture of the dangers of nuclear power, and Jane Fonda, Jack Lemmon and Michael Douglas brought star power to the anti-nuclear campaign. The organizations opposing nuclear power now had a rallying cry: Radiation kills, and a meltdown would result in radiation exposure to millions. All of which was pure nonsense. While totally inaccurate, these groups were able to instill fear of radiation into the minds of many Americans. Though this fear was irrational, and completely unwarranted by the facts, it was a powerful force in the anti-nuclear campaign. 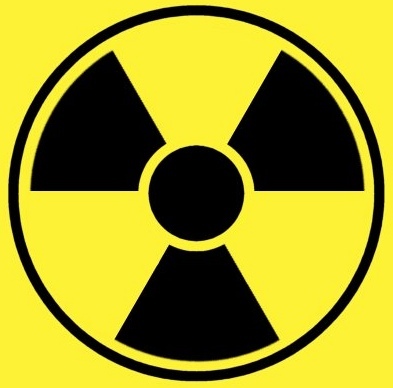 Several excellent books show that radiation is nothing to be feared, but the constant drum beat by anti-nuclear groups, that continues today, prevents a rational discussion on radiation. Radiation and Reason, by Wade Allison, is one of several excellent books on the subject. But who were these people that opposed nuclear power? But there were many, many others. President Carter’s decision to not allow reprocessing was very detrimental to the industry, and meant that a repository had to be found for large quantities of spent nuclear fuel. France largely avoided this problem by reprocessing spent fuel so that only a small amount, one-fifth of spent fuel, remained as high level wastes having to be stored. Today, only one of these exists as a pure American company, Babcock-Wilcox, and it went through bankruptcy before being reorganized. Today, GE is GE-Hitachi, and Westinghouse is Toshiba-Westinghouse LLC, a Toshiba subsidiary. In reality, the antinuclear groups have caused a great deal of harm to the United States. All 100 existing United Sates nuclear power plants will probably be retired and dismantled, beginning in the mid-2030s. See U.S. Nuclear Demise. No longer is the United Sates a leader in the nuclear industry. Nuclear power is not dead elsewhere in the world. China and India, as well as several smaller countries are building new nuclear power plants. But America is not involved, and American jobs and orders for equipment are lost to others by default. South Korea is building four nuclear reactors in the United Arab Emirates (UAE). The Russian company, Rosatom, is building power plants in Turkey, Belarus, Vietnam and elsewhere. The China National Nuclear Corporation (CNNC) is scheduled to build over twenty nuclear power plants. If CO2 is the problem some believe it to be, nuclear power is the only large source of base load power that doesn’t emit CO2. Because of anti-nuclear activists, the United States has ceded the opportunities, and ability to lead, to others, and will see its nuclear power plants dismantled. Anti-nuclear groups have done a great disservice to the United States. Many things can kill. But those science fiction movies of the 50s planted the idea that radiation does something even more fearful — it creates monsters. Processing spent nuclear fuel does reduce the volume to be stored. But most of the radioactivity remains, for it resides in the fission products and some products of neutron capture. The US has been short-sighted in not approving a central storage facility for radioactive materials (not just from reactors, but also from medical and industrial use), like the well studied and developed Nevada Yucca Mt. facility. Better to have such materials in one place and monitor it, than to have it in many poorer quality places and not monitored. We may be creating future nuclear analogs to chemical superfund sites. Yes, Yucca Mountain should be approved, despite the current situation. Hopefully, enough Senators will get this right eventually. Since you are an experienced businessman, have you considered the probability that some of the misinformation about nuclear energy is sponsored by the competition? The market price of any commodity is determined by the balance between supply and demand. With hydrocarbons, because of the very large inventory of product in nature’s reservoirs, the key price driver is the available, above-ground supply. When OPEC wants to alter the price, it makes a change in production – raising production quotas to moderate price increases or lowering production quotas to drive prices higher. Before OPEC, the Seven Sisters and the Texas Railroad Commission performed a similar dance. Before them, it was Rockefeller’s Standard Oil that worked to limit the possibility that overproduction did not result in a price collapse. Every once in a while, each of those mechanisms lost market control for a while and prices fell to levels where everyone lost money. Then, in the 1950s a completely new energy source came into the market driven by players who did not participate in The Game. As documented in a 1991 history book titled Chain Reaction, the primary opposition to nuclear energy in the US from 1956-1970 was the coal industry, led by both the National Coal Association and a rather short-lived, unique coalition called the National Coal Policy Council. The NCPC included coal miner unions, coal companies, railroads, coal mining equipment companies and coal burning utilities. They were offended that the US government was helping to start a new energy industry that “was not needed” to supply electricity. They were quite adamant and vociferous; the coal industry had lost about 30% of its market from 1945-1957 due to a loss of home heating to fuel oil and natural gas and due to a loss of locomotive fuel to diesel. Their only growth market was electricity and they thought they were in danger of losing that market. GE, your former employer, did not give “the coal boys” any comfort when it ran ads with a picture of a lump of shiny black coal under glass as if it was an artifact in a museum with text saying that nuclear energy would make coal obsolete. It was only after a warning shot to the oil industry by Arab oil producers in 1967 that groups like the ones you listed began fighting a well-resourced battle against nuclear energy. One group in particular – Friends of the Earth – would not have been created without the help of a $200,000 check from Robert Anderson, then serving as the CEO of Atlantic Richfield Co. This comment is already bordering on too long, so I will stop here. If you are interested in continuing the discussion, please respond here or visit Atomic Insights. Great comments about the early history of nuclear energy. Yes, coal was in retreat by 1950. John L Lewis had over-reached by having the UMW go on strike during the winter when most buildings in cities were still using coal for heating. I was a youngster in NY City during this period, and Lewis’s complete disregard for millions of people gave coal a bad name. In the early 1950s, nuclear was perceived as a great alternative to coal. All that is true, but it wasn’t until large numbers of nuclear plants were being built that opposition from the organizations I mentioned, created legal hurdles that resulted in delays that caused large cost overruns. It’s also true that after Three Mile Island and Chernobyl these organizations campaigned against nuclear by instilling fear of radiation into the general public. The battle against nuclear preceded the OPEC oil embargo, with the legal objections that caused the delays and cost overruns. It was hoped that the current approach of combining the two step approval process, into a single step, by issuing a construction permit and operating license, would eliminate the costly delays precipitated by those opposing nuclear power. Not sure if this has worked as hoped. I didn’t know that Anderson had funded Friends of The Earth. If he did, it was a huge mistake. It must be remembered that in the early 1970s there were a great many legitimate environmental problems, and most people, including myself, favored taking action to prevent environmental disasters. That might have been Anderson’s motivation, but who knows? We moved to Cleveland the year the Cuyahoga River caught on fire, so I have a personal memory of the problems. Dredging up the early opposition by the coal industry to nuclear, is irrelevant to the situation existing after the 70s and 80s. The situation beginning in the 70s was a push for all-electric homes etc., and everyone in the industry saw a bright future for coal and nuclear, but not so much for natural gas as that was still a fledgling alternative with land based gas turbines being used for pumping and local power production, and just beginning to be used by utilities for power generation. Though I favor nuclear power, I’m afraid it’s a dying industry in the United States, for the reasons mentioned in my article. Your answer of dismissing the early history of nuclear opposition begs the question – what made the activists in the 1970s so much more worried about nuclear energy than the same kinds of people in the second half of the 1940s through 1970. If the motivation was fear of nuclear energy’s relationship with The Bomb why weren’t people who had more direct personal experience with the use of the bomb in war and in atmospheric testing (which ended in US in 1963) more opposed to nuclear energy? As late as 1978, oil supplied 17% of the US electricity market with a daily consumption of 1-1.4 million barrels of oil per day. Many of the nuclear plants built in New England and Florida directly replaced oil burners. You are also incorrect about the use of natural gas in electricity generation. It was almost as big in the 1960s as it is today, but a severe shortage in the early 1970s led to the Natural Gas Act, which provided incentives for converting from gas to residual oil and coal. I don’t point to “Big Oil” as the sole culprits who have provided financial and political support to vocally antinuclear groups. There are many interests associated with coal, oil, and gas whose revenues would shrink by allowing nuclear energy to flourish. Railroads, locomotive suppliers, rail car constructors, pipelines, banks, “mom and pop” natural gas extractors, coal mining equipment companies, and even companies that make some of the best horizontal drilling equipment in the world. Plant that can run for 18 months on a few truckloads of manufactured fuel are disruptive. Your conspiracy theory is unfounded and there is little evidence that big oil, or big companies, tried to stop nuclear power. You fail to support your allegations with factual evidence. Oil accounted for 10% or less of electricity generation until around 1970. It peaked slightly, to around 20%, in the 1970s because new plants had been built for using oil when it was cheap during the 1960s. It quickly fell out of failure after the OPEC oil embargo in 1973. Big oil had a lot more to worry about than nuclear power. With respect to gas turbines, you are over stating their importance in the 1960s. Your statement that natural gas for generating electricity, was nearly as big in the 1960s as today is nonsense. It averaged about 25% rather than the nearly 50% today. It was growing with the introduction of natural gas combined cycle (NGCC) units introduced in 1968, but was negatively affected by government regulations through the 70s and 80s. Those regulations caused natural gas’ share to drop to 20% and below. The NGCC units being built today are far larger than the small NGCC unit installed at the Wolverine Cooperative in 1968. My article in the next few weeks on the history of gas turbines should be of interest. People who don’t like being challenged often turn to accusations of “conspiracy” when all I am doing is explaining business planning, competition and decision making. I never mentioned gas turbines when I stated that natural gas was as important in electricity generation in 1960 as it is today. Gas turbines were a very immature technology in 1960; almost all of the Brayton cycle machines being operated then were on aircraft. In 2012, there was a brief period when natural gas dipped below $2.00 per MMBTU. Not surprisingly, that year saw natural gas capture its largest share of the electricity market in the past several decades — 30% (1227 billion kilowatt hours out of 4047 billion kilowatt-hours http://www.eia.gov/electricity/annual/html/epa_03_01_a.html). Gas’s share fell back to about 27% in 2013 (1113 Gkw-hrs out of 4058 Gkw-hrs) http://www.eia.gov/electricity/monthly/epm_table_grapher.cfm?t=epmt_1_1) From same table – year to date in 2014 through May, gas’s share is 25% (407 out of 1652). That is hardly trending towards the “nearly 50%” that you claimed. Big oil’s main concern in the 1970s was how to deploy all of that spare cash that was flowing in from the quadrupling of world oil prices in 1973 and how to maintain the “windfall profits” that came from that coordinated action in the face of the potential for competition from coal and nuclear energy. Prices in energy, like those in all commodities, is driven by the balance between supply and demand — with some influence from perceptions of the balance. When oil and gas demand shifts to increasing supplies of coal and nuclear, they will suffer from the effects of price decreases. You are certainly experienced enough in the industry to remember the effects of the “uranium club” which successfully assisted in driving world uranium prices up by a factor of 8 between 1972 and 1974. You are probably aware of the substantial negative impact that dramatic price increase had on Westinghouse, GE’s arch rival. Were you aware that one of the leaders in the club was Gulf Oil, a Pittsburgh neighbor of Westinghouse? Did you know that Gulf had a seat on Westinghouse’s board up until 1967, when Gulf decided to enter the nuclear power plant and uranium mining business? As I said in my initial comment on your blog, I would be happy to discuss more of my information with you. I have been gathering the stories and posting my thoughts on Atomic Insights since 1995 and am working on a couple of additional projects to tie the stories together into more comprehensive narratives. I think you give activists way too much credit. Since when have “activists” wielded so much power? Is it that antinuclear activists are so much more clever and influential than all other forms of activists (environmental, animal rights, etc. ), or could it be because something else is helping their cause? The key point for me is that nuclear energy competes directly with Big Oil in domestic gas markets. Just one GW-scale nuclear plant will lower gas demand by hundreds of $millions per year. Get rid of 100 plants and you will grow the market for gas and related services (pipelines, etc.) by many tens of billions per year. Big Oil is immensely powerful, and advanced drilling technology can extract billions of new reserves at today’s high prices. There is more BIG money, a lot more, yet to be made by drilling holes in America, and that kind of money is a fat juicy target, even for the corporations counted among the richest in the world. I think a more accurate picture of this situation is that antinuclear activists and their misinformation machinery has been aligned with the interests of very wealthy, powerful and politically influential forces of Big Oil. Activists yield immense political power. Just look at the current drive to cut CO2 emissions. A majority of Americans don’t believe that CO2 is causing global warming, yet the EPA is initiating regulations to cut CO2 emissions 30% by 2030, and wants to cut them 80% by 2050. This is the result of activists. Activists were instrumental in causing nuclear power plants to incur huge cost overruns when they were being built. As for big oil? Yes there are big bucks involved. Big oil has little to benefit from the death of nuclear power. Only 1% of electricity is generated by oil in the United States. Natural gas, where big oil isn’t the predominant player, with the possible exception of EXON, has only recently become a factor as the result of fracking. All in all, there is little evidence to say that big oil has been trying to kill nuclear power. The only groups trying to kill nuclear power have been the activists I mentioned. I agree that Three Mile Island and the science fiction films, especially The China Syndrome were pivotal in stopping nuclear development. The coal industry was an active competitor, but didn’t have the devastating effect that the activists did. What is often overlooked is the role of the mainstream news media. The news media is a competitive for profit business that needs to attract an audience. Just as scary Hollywood movies sell well so does scary, sensational news. The news media has no regard for probability an event. Commercial airplane crashes get heavy coverage whereas automobile fatalities are ignored. Unfortunately this has worked to the detriment of society. Where would terrorists be without the active support of the news media to spread the terror? Where would the anti-nuke movement be without the news media to spread their nonsense? To watch the news coverage of Fukushima one would think 20,000 died from the meltdown and the tsunami was just really cool video. No question the media is a huge problem. By placing emphasis on horror stories, it distorts the truth. The reporting on Fukushima is an excellent example. Though audience numbers help media outlets make sales, the true customers of commercial media outlets are the entities that buy advertising. They are the primary source of revenue for print media and virtually the ONLY source of revenue for the major televisin networks. Therefore, if you want to understand why the media chooses the stories it chooses, you need to think about their desire to avoid offending their customers. Oil, natural gas and coal are far more important to the commercial media’s bottom line than nuclear. That has been especially true in the past few decades after GE and Westinghouse cut costs by firing their marketing people. First, the media’s ability to sell advertising at the highest rates depends on its ability to get readers or viewers. Therefore, getting readers and viewers through exploitation of fear and horror stories is what drives their ability to sell advertising. Big oil, natural gas and coal don’t generally advertise in the general media, such as the NY Times and Time Magazine, but rather in publications that address their industries, such as Power Magazine etc. The idea that the media is afraid to run stories that offend big oil etc. is nonsense. Recently there have been a few TV ads that have been trying to provide the general public with some facts about energy issues. I don’t know where you get your information that GE cut its marketing force. Until the joint venture with Hitachi, GE aligned its selling efforts with the needs of the market, which included a focus on getting designs approved by the NRC. Westinghouse of course found itself in dire straits, and discontinued or divested its business, such as divesting the nuclear business to Mitsubishi and the gas turbine business to Siemens. Westinghouse Electric Company did not divest its nuclear business to Mitsubishi. In fact, that is the only business left of the conglomerate that used to be called Westinghouse that still operates under the Westinghouse brand. The old company actually became CBS and decided to focus on broadcasting and media enterprises. It sold the nuclear business to BNFL (British Nuclear Fuels, Ltd) which later sold that business to Toshiba in 2006 for about $5 billion. Westinghouse is building 4 new nuclear plants in the US today and has good prospects for at least two more two unit project commitments – one from Southern Company and one from FP&L. Duke Energy is also moving along with its W. S. Lee license application; that would be another 2 unit AP1000 project. I’ve been watching too much television, especially sporting events, for too many years to buy into your description of the marketing efforts of the oil and natural gas industry. There is a wealth of archive material on the web of searchable major network ad campaigns from Texaco, Exxon, Gulf, Shell, Citgo, etc. for anyone who disbelieves the fact that oil and gas have always understood the value of media advertising and have been good customers of the media for more than 100 years. Even the film industry arm of “the media” has a strong component of oil and gas marketing influence through product placements and direct studio investments. Upton Sinclar’s 1927 novel titled Oil! is a classic work illustrating the influence of the petroleum industry on Hollywood. http://en.wikipedia.org/wiki/Oil! Interesting article, I agree with most of it. There is potential for the pressure vessels of nuclear reactors to last as long as 80 years. Theoretically with some forms of annealing that could extend to maybe a 100 years. There was a lot of research into this at my university. Whether this would be economically feasible is debatable. In the 2030’s period the coal plants will be mostly shutdown thanks to EPA regulations and there will be a critical shortage of natural gas. If the bureaucracy makes it too costly and cumbersome to build new reactors, extending the older ones may be a less than perfect solution. You seem like my grandfather in many ways. He was also a graduate of the merchant marine academy, not allowed into the US Navy initially because of horrid eyesight that I unfortunately share . Became an expert radio operator in WW2 who was so skilled that the Navy forcibly acquired him from the merchant marine fleet. I am avidly reading through many of your posts and just subscribed by email. GE had a pretty cool reactor design that Clinton blocked, I hope the PRISM goes somewhere. Since Obama just effectively shut down the only other method of eliminating our spent nuclear warheads the GE S-PRISM may be a good replacement. Impossible to meltdown under any circumstance and able to use light water reactor waste as fuel. Unlike MOX fueled reactors it can use nuclear warheads as fuel with no major modifications of infrastructure. Right now I am trying to finish my degree, then plan to go into the Navy Nuke program. Then use GI Bill to help design a supercritical water reactor which I find fascinating. It would have all the technological benefits from the super-critical coal plants. Less moderation and more compact core size would mean 50% more efficiency with a smaller reactor core while being able to use nuclear waste as fuel similar to fast reactors. I am looking to design a very small one possibly for naval use. Your grandfather must have been an extraordinary person, who performed remarkably during WW2. I’d forgotten about PRISM, but it would have been a fine reactor. Hope you are successful, as we need nuclear power: Smaller, even safer, more efficient reactors could make a difference. Hope you find my articles interesting. I’ll shortly be writing one about nuclear power in the navy. There is hope for the U.S.’s dying nuclear industry. There is a growing army of internet prowlers who have discovered thorium powered molten salt reactors thanks to the presentations of Kirk Sorenson, the books of Richard Martin and Robert Hargraves, and prolific YouTube video maker Gordon McDowell. This new army of thorium advocates are quick to reply to any anti-nuclear articles and any nonsense about how wind and solar power generation is going to save the world from global warming. This new army’s has learned that current nuclear reactors deserve their enthusiastic support. This group is now beginning to break into the mainstream news media. Two young MIT graduates have started a company that plans on building a molten salt reactor. What is amazing about their efforts is their success at breaking into the national media with their plans. This is really important because it is the through the mainstream media that the voting public learns about things they should want. When politicians learn that the public is in support of something it behooves them to support it too if they want to get reelected. How fast can the news media swing the public to favor something and get the politicians to follow? Pretty darn fast. I need only point to how fast support for gay rights occurred. Government support for Generation IV reactors and nuclear power in general is critical. Private investors might support the design phase of a Gen IV reactor, but it will likely take government money to support the long term and more expensive building of the reactors. Also the government will be needed to reign in the NRC’s roadblocks to nuclear progress. Thanks. Thorium is potentially a good fuel for nuclear reactors. India is working on it. We’ll ave to wait and see how successful the MIT graduates are with their project, and whether the media will provide its support. I think you meant to write “thorium” vice “lithium”. Some proposed reactor designs using thorium as fuel use lithium salts as the carrier for the fuel. Just catching up with your comments. Frankly, people challenge me all the time, and I’m happy to respond, unless the person is avoiding or twisting facts. I’m not going to get into who said what. I’ll let others view our statements and decide who is closer to the truth. I will say you seem to have a distorted view of history. Westinghouse Electric for example, is now a subsidiary of Toshiba, so I don’t fathom your saying that Westinghouse wasn’t divested by the parent company. Westinghouse was originally sold by the parent company to British Nuclear Fuels Ltd, before Toshiba bought control. Yes, Westinghouse, which is nearly 90% owned by Toshiba, is building four new nuclear plants in the U.S.
As for the huge increase in oil prices during the ‘70s, it was primarily Saudi Arabia and the OPEC countries who benefitted from the huge amounts of money. The big oil companies weren’t the real beneficiaries of the steep rise in oil prices. ARAMCO, for example, was taken over by Saudi Arabia, and became SAUDI ARAMCO, so those of the remaining seven sisters lost out. There was considerable concern at the time about whether Saudi Arabia, etc., would be able to recycle the huge amounts they received for their oil. As for your offer of information: I am always glad to receive factual information, but I’m not interested in your opinions without verifiable facts. As you pointed out, there was talk about OPEC’s ability to recycle the petrodollars they received for their oil, but according to a lengthy, rather proud description in David Rockefeller’s autobiography, the worry was not long-lasting. The monetary recycling “problem” was taken care of by Chase, Citi, Bechtel, Lockheed, and numerous other players in The Game. Like you, I’m not terribly interested in “who said what” arguments. I will, however, ask that you go back and read my August 21, 2014 6:53 am comment. I didn’t try to say that Westinghouse’ nuclear business wasn’t divested; I merely pointed out that Mitsubishi was not the buyer and then provided the same transaction history that you did. My view of history may be different from yours, but that might be because I have a different set of lenses. After graduating from the Naval Academy in 1981, I served for 29 years in and around the nuclear submarine force. I’ve been a small businessman, earned a diploma from the Naval War College for study in national strategy and policy, taught ethics at the Naval Academy, and now, after retiring from the Navy as a Commander, work full time on a hobby started in 1995 to provide accurate information about nuclear energy. I’ve never been a corporate executive. My wife and I live a good life on an income that most executives would find insulting. I’ve taken enough business classes and spent enough time in corporate meeting rooms, however, to recognize efforts to raise barriers to entry, to maintain commodity supplies at profitable levels, and to use regulations to cement market share to fail to notice that the fight against nuclear energy has been, and continues to be, driven more by profit motives than by efforts of ideologically motivated activists. The vocal activists provide a tactical distraction; and they are often well-compensated for their efforts by donations from corporations and foundations with deep ties to established oil and gas interests. Rockefeller (Standard), Pew (Sunoco), Mellon (Gulf), Mitchell (George, the father of fracking) foundations all support “environmental” causes. At least one of the other “frackers” — Aubrey McClendon from Chesapeake Energy — gave the Sierra Club $25 million over a three year period. Thanks for your comments. Thanks also for correcting my Lithium typo. Thorium was what was intended. We probably agree on many things, but your view that big oil etc. were reaping big profits while opposing nuclear power didn’t ring true. It was that slant that prompted my observing that your comments smacked of being a conspiracy theory. As for McClendon, it was a stupid effort by him to try to buy peace with the Sierra club. One more thing that you should consider. Just because the PEW foundation etc. were originally founded by someone in the oil industry, doesn’t mean that these organizations are representatives of big oil. The problem is, the grand kids, or whomever, took control of these foundations, are now opposing nearly everything pertaining to energy development. My thought is that Mr. Pew, is probably turning over in his grave as he sees his money being used to oppose what he loved, energy development. I’ve heard the “grand kids” theory. Then I spent a few days reading David Rockefeller’s “Memoirs” and realized that at least some of the grandchildren of the scions who provided the money for the foundations worked hard to maintain and extend the family’s wealth and power. David was one of five brothers – Nelson, John D. III, Laurance, and Winthrop were the others – who were grandchildren of John D. Rockefeller and the son of John D. Rockefeller II and Abby Aldrich. David’s Wikipedia page (http://en.wikipedia.org/wiki/David_Rockefeller) is not bad, but his autobiography is more detailed and illuminating with regard to the way that he and his brothers mixed philanthropy, politics and business interests. For example – one of the most antinuclear administrations ever elected in America was that of Jimmy Carter. During the campaign, he was presented to the American public as a Navy-trained “nuclear engineer.” The reality was that he graduated from the Naval Academy in the class of 1946 when there were no academic majors; everyone followed a core curriculum that resulted in a BS degree. He served for two years on surface ships and then transferred to the diesel submarine navy. In the fall of 1952, he was selected for nuclear power training and “stashed” at Naval Reactors while awaiting the start of his class in March 1953. His father passed away in July of 1953, Carter applied for a humanitarian discharge, and he was separated from the Navy in October 1953. The USS Nautilus, the first nuclear powered submarine, did not get underway on nuclear power until January 17, 1955. Carter was therefore not a degreed nuclear engineer, not a nuclear power plant design engineer, and not a nuclear submarine engineer. He was a politically ambitious farmer from Georgia who had managed to become elected governor and attracted the attention of David Rockefeller who invited him to become a member of Rockefeller’s Trilateral Commission http://www.trilateral.org/. A significant portion of Carter’s Administration were also members of that group of world leaders, many of whom liked the massive flow of petrodollars resulting from OPEC’s production controls. In the energy plan that Carter, who had been marketed to the public as an expert on nuclear energy, presented to the public on April 18, 1977, he said the following. I realize that mentioning the Trilateral Commission entails the risk of being dismissed as a conspiracy theorist, but the organization is real. Rockefeller’s Memoirs describes its influence on world leaders and world events with quite a bit of justifiable pride. Although the tone of your article is negative, let’s hope it encourages people to think about the issues. And thanks also for link to my article. Unfortunately you are correct in that there are too many people scaring others about radiation. I hope you are able to reach out tenths who are concerned about radiation and get them to understand there is little to fear.